May be the best view in County Club Village. Looks straight down Spearfish Canyon with views of both Spearfish Peak and Crow Peak. 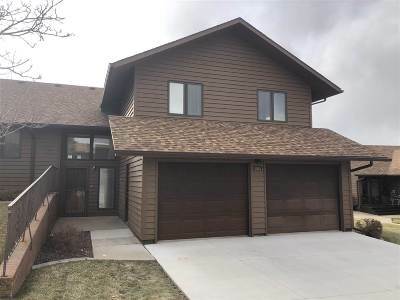 Incredible sunsets, great layout, prestigious and convenient location in the heart of Spearfish. Main level master bedroom, with two guest bedrooms and another bathroom on the upper level. Great views from the bay window in the dining area. Two car heated garage. Large deck with a sweeping view of the Black Hills. A real gem.